GPU Video Encoder Unity Plugin | 株式会社システムフレンド | SYSTEM FRIEND INC. 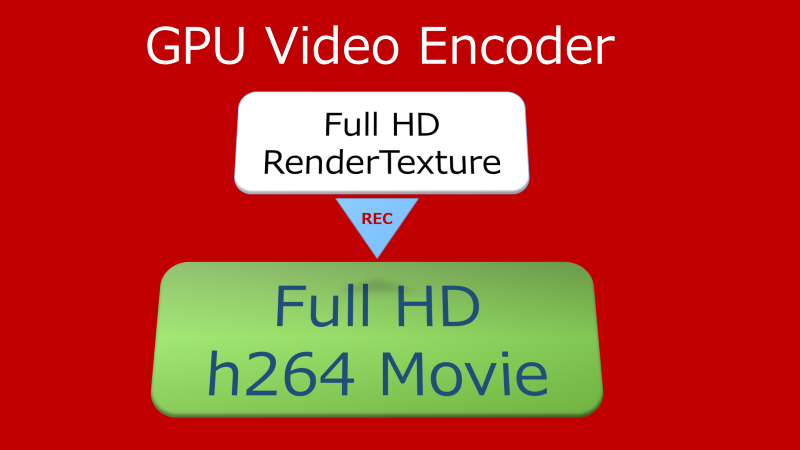 This Unity plugin can record full HD h264 encoded video from RenderTexture realtime. Very low latency by NVIDA nvenc hardware encoder. All process execute in GPU. Full HD (1920 x 1080) 60fps, realtime video encoding. Windows10 x86_64 DX11 Environment only. Loaded graphic board which supports NVIDIA of nvenc H/W Encoder,and installed graphics driver are needed. Installed Spicy Pixel Concurrency Kit. Installed Visual C++ Redistributable for Visual Studio 2015. Free Trial version is the watermark appears in the output video. Paid version which doesn’t appear the watermark is in released at Unity Asset Store.